Now, if you're looking for a fast-paced crime movie, this isn't it... but if you're looking for a movie with a wonderful story, look no further! The story begins with the realization that $30,000 had been stolen from the church. For most of us, the idea of taking $30,000 from anyone seems inconceivable... and from a church? No way! It's unheard of. A good Christian would never consider such a thing, right? But the reality is, we are only human. All it takes is a moment of desperation and one bad decision to turn our lives upside down. Now, for most of us it won't be something so grand as stealing money- but one way or another we will make mistakes in our lives. How lucky are we to have a God who offers his grace unconditionally! This movie is not only a great reminder of God's redemption, but also a reminder of how we- as Christians- should also be forgiving and grant second chances. Being a firm believer of everything working out according to God's plans, I couldn't help but notice this a bit in the movie as well. Despite the unfortunate circumstances, God used them for good. We see new relationships being formed, old relationships strengthening and God using the circumstances to bring people closer to Him. Again, this isn't a fast paced movie, in fact you might even say it was pretty slow moving at points... but it was a great movie that I personally really enjoyed! It was thoughtful, inspirational, and another movie the whole family can enjoy together. But you don't have to just take my word for it! 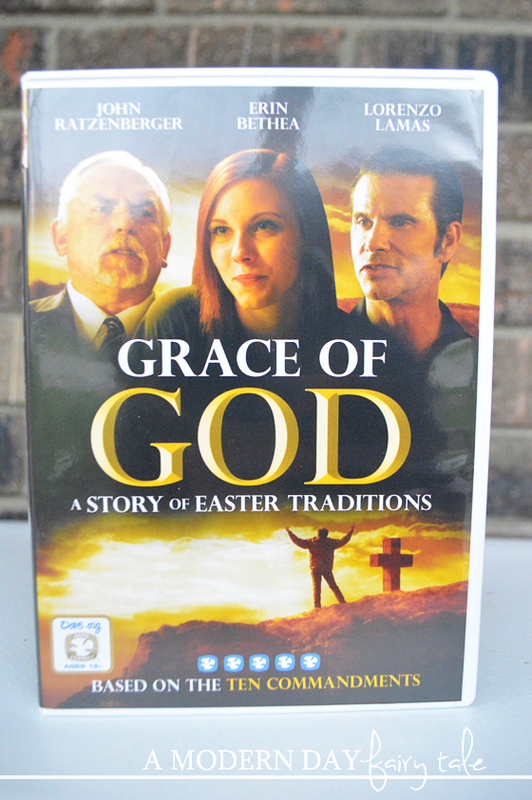 Grace of God is available to purchase now at Walmart! I to lost my faith and found my way back again!! I would love to watch this movie because it sounds very similar :) Thanks for the chance! !